It is important that you consult a wrongful death lawyer immediately if you suspect that your loved one may have passed due to someone’s negligence. Our attorneys are standing by to evaluate your case now. Call (844) HAUG LAW, your dedicated wrongful death attornies, to speak with us or click here to contact us online. James Haug averaged over a million dollars in settlements alone in 2013 for his clients. James currently works closely with his friend and mentor, Eric J. Hertz and regularly fights big insurance companies in order to receive fair compensation for his clients. It is important to act quickly. 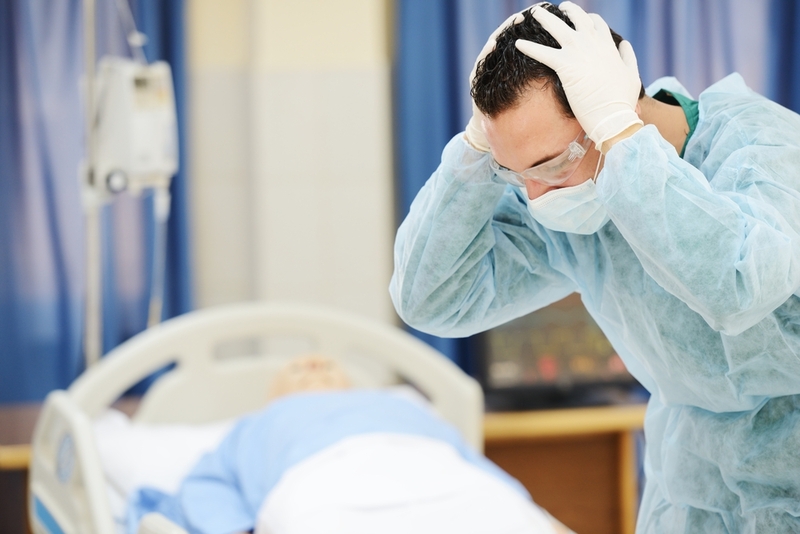 Wrongful Death cases have short deadlines, and it is very rare to be able to extend these deadlines. These kinds of cases require significant time and financial investment to prepare. Big insurance companies know this, so be careful that the wrongful death attorney has the ability to go the distance. James has a proven track record and will dedicate himself to getting you fair compensation. Evidence can be lost. Evidence can be destroyed. The earlier you hire an experienced wrongful death attorney, the better your chances are for success. When a person dies as the result of someone’s misdeeds, it is legally considered a “wrongful death.” In other words, the loss of life is due to someone’s careless behavior or misconduct. According to Georgia law, when a wrongful death occurs, the person who caused that death can be held responsible, whether or not they caused the death in a purposeful manner. The legal idea of wrongful death was established, in part, to prevent people from behaving in such a way that the people around them are put at risk. People may act in a variety of ways that could cause the death of another. For example, an employer could fail to maintain equipment properly, a driver may choose to consume alcohol before getting behind the wheel, or a property owner could fail to repair a large crack in a walkway. In all of these examples, the people responsible failed to take action that would protect the people around them. These are just examples, there are many other instances in which wrongful death may occur. In Georgia, only certain individuals are entitled to recover for the loss of a loved one. Generally, when the deceased person is an adult, his or her spouse or children have the right to seek a legal recovery when a loved one has died due to negligence or an intentional act. The spouse is required to share a portion of the proceeds from any legal action for wrongful death with the children, but is guaranteed a one-third of any recovery for wrongful death. When the death of a minor is involved, the right to recover belongs to the child’s parents. In the event a person is not survived by a spouse, child or parent, then the right to pursue a wrongful death action belongs to the deceased person’s estate. In addition to a claim for “wrongful death” for the full value of the person’s life, the estate of the person also has a right to seek recovery for pain and suffering, if appropriate, and for economic losses such as medical and funeral expenses. Depending on the circumstances, a claim for punitive damages may also be brought. Determining the appropriate value of a claim for “wrongful death” and for the estate’s claim is complicated. It involves evaluating the nature and extent of the injury which led to the person’s death, the economic losses that are recoverable, and the liability issues related to the situation. The location where a trial would take place and the person’s health are issues that are also factored into any evaluation of a wrongful death claim. Our office utilizes our experience as well as multiple national databases to properly evaluate each of our cases. Since insurance companies have vast experience in evaluating personal injury claims and will seek to obtain the lowest settlement possible, it is important to have a person with considerable experience dealing with insurance companies on your behalf. Generally, it is best to retain a wrongful death lawyer who regularly handles these claims and will be prepared to institute litigation on your behalf if the insurance company is unwilling to settle your claim for a fair value. Insurance companies are in business to make money. They will delay and deny your claim. They know these cases are complicated and costly. Insurance companies will try to make your case so frustrating, time-consuming, and expensive that you want to give up. If your loved one lost their life due to someone else’s actions or negligence, it’s important to take action quickly. Call us today at (844) HAUG LAW or contact us online to schedule a free, no-obligation consultation. We’ll review the details of your case and advise a course of action. Time isn’t on your side. Contact our wrongful death lawyers today. It is emotional when a loved one passes away. It can be made even more tragic when the person passed away as the result of someone’s negligence or as the result of a crime. When a person suffers a wrongful death, their family may be entitled to recover the value of their life in addition to various forms of compensation. A family may be awarded economic damages. These are the financial losses the family may have experienced if the accident hadn’t occurred or the crime hadn’t happened. Economic damages can be calculated based on receipts and other documentation. These damages include medical and funeral expenses, loss of earnings, loss of benefits, and more. Non-economic damages include recovery for mental anguish, pain and suffering and loss of are. These damages may also include loss of society, companionship and love. A spouse may also be entitled to loss of consortium. Punitive damages, or those meant to punish the defendant, may also be ordered in unique cases. In some instances, the family may be entitled to recovery of attorney’s fees spent on a lawsuit. Any family of a person who has suffered a wrongful death should seek the advice of an experienced attorney. An attorney can review the details of the incident and help a family determine what they are entitled to under law. If you have suffered such a loss in Atlanta, an attorney can assist your family in taking the appropriate next steps. If the person is survived by a spouse, the spouse is the person who has the right to file a lawsuit. If the decedent (that is, the person who died) and spouse have children in common, the spouse will file on behalf of themselves and the children. Typically, 1/3 of the award will go to the spouse and the remainder will be split among the children. When there is no surviving spouse, the children of the decedent have the right to file a wrongful death lawsuit. The children would divide any compensation awarded evenly. If the decedent had no spouse or children, the parents of the person may file a wrongful death lawsuit. In cases where none of the above are in existence, the Estate will file suit. The award will be divided among the next of kin as determined under probate law. The parties who have the right to file a lawsuit is determined not at the time of injury, but at the actual time of death. It is rare for the people to be different at these two times, but it has happened. An experienced wrongful death attorney can be of assistance in these matters.